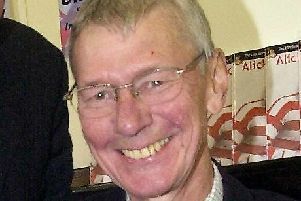 Former Northridge headteacher Mick Wright. A "very well known" and respected former Doncaster headteacher has died at the age of 62. Michael "Mick" Wright, who was a former head at Adwick's Northridge School, died earlier this month at home. An obituary for Mr Wright said he had passed away peacefully on June 10 and he was described as "a very well known and respected gentleman of the Goldthorpe area." He was the husband of Tracy and father to Laurette and Sinead. The funeral service will take place at St John and St Mary Magdalene Church, Goldthorpe at 2.30pm followed by cremation at Ardsley Crematorium at 3.30pm.